Stephen is chair of the firm’s business restructuring, creditors’ rights and bankruptcy practice. He concentrates his practice on complex corporate workouts, restructuring and bankruptcies. Stephen has represented clients for over 30 years concerning all aspects of financial restructuring and bankruptcy matters. 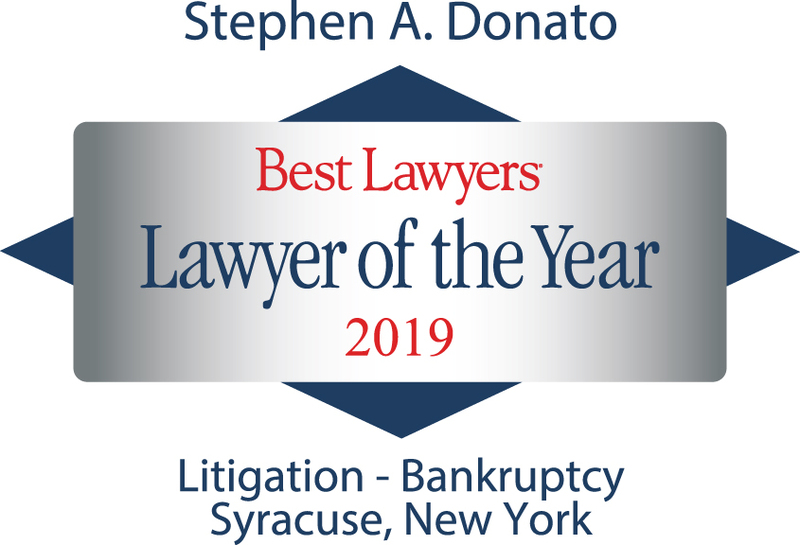 Stephen handles matters which include representation of borrowers in chapter 11 bankruptcy cases, secured and unsecured creditors, and creditors’ committees, debtor-in-possession financing and exit facilities. He also has extensive experience advising health care institutions and higher education institutions, including colleges, universities, private high schools and charter schools. Stephen has also represented buyers and sellers of distressed assets in out-of-court transactions, including public and private sales. He has also served as an expert witness in state and federal court cases. Masonic Care Community, representation of the Masonic Care Community Board of Trustees concerning a $40,000,000.00 claim in a multi-million dollar Cayman Island hedge fund. He served as a member of the Cayman Liquidation Committee and participated in a dispute resolution proceeding in which our clients recovered almost 100% of their claims. Representation of higher education institutions, including colleges, universities, private high schools and charter schools in financial restructuring and workouts, essential business processes and financial performance. Capital Bank, N.A., representation of Capital Bank in prosecuting a multi-million dollar fraudulent conveyance action in United States Bankruptcy Court for the Middle District of Florida against a medical practice group in South West Florida. Huntington Bancshares Incorporated, representation of the Bank with a $35 million secured claim in a ski resort chapter 11 case, Kiebler Recreation, LLC, filed in the United States Bankruptcy Court for the Northern District of Ohio. Auburn Memorial Hospital, representation of a not-for-profit 200-bed hospital in chapter 11 reorganization in the United States Bankruptcy Court for the Northern District of New York which included settlement of complex claims between secured lenders, a surety company and the unsecured creditors, and the termination of the hospital’s multi-employer defined benefit plan, settling withdrawal liability claims, and a successful transition of its pension plan to the Public Benefit Guarantee Corporation. Flour City Bagels, LLC, representation of the largest franchisee of Bruegger's Enterprises, Inc. in the United States Bankruptcy Court for the Western District of New York (Rochester). The County of Nassau in the Twin Rinks at Eisenhower, LLC chapter 11 case, representation of the County of Nassau as licensor of a failed recently constructed $50 million ice skating and training facility administered in the United States Bankruptcy Court in the Eastern District of New York. The case was successfully resolved through a sale process resulting in a sale to the owners of a National Hockey League franchise. Official Committee of Unsecured Creditors In Re Buffalo Sabres, Inc., representation of the Creditors’ Committee in the chapter 11 case of the NHL Buffalo Sabres which resulted in payment of essentially 100% of all unsecured creditors. OFI MGA Alpha Palmares, Oval Palmares Europlus and UMR Select Alternatif, representation of several foreign funds that allegedly redeemed investments in Fairfield Sentry, a feeder fund of Bernard L. Madoff Investment Securities LLC (BLMIS); these funds are presently defendants in litigation commenced by both the Fairfield Sentry liquidators and the SIPA Trustee for the BLMIS liquidation proceeding of several French funds who allegedly received redemptions and are now defendants in the Fairfield Sentry and Madoff recovery actions. Representation of AngioDynamics, Inc. as the largest creditor in the New Jersey chapter 11 bankruptcy case, Biolitec, Inc. and successfully removed existing management and obtained the appointment of an 1104 Operating Trustee. Official Committee of Unsecured Creditors in the TLC Health Network case, representation of the Creditors’ Committee in the chapter 11 case of a not-for-profit health system comprised of a hospital operating in Western New York and several outpatient facilities throughout Western New York. Mid-State Raceway, Inc., representation of the Official Committee of Unsecured Creditors in the chapter 11 case of a central New York harness racetrack which resulted in payment of almost 100% of all unsecured claims. Northeast Biofuels, representation of the Creditors’ Committee in the chapter 11 case of the largest ethanol facility in the Northeast which was filed in the United States Bankruptcy Court for the Northern District of New York. Endicott Interconnect Technologies, Inc., representation of electronics manufacturing company located in Endicott, New York in a complex chapter 11 sale process. Sheehan Memorial Hospital, representation of the Creditors’ Committee in the chapter 11 case of a Buffalo hospital. The Albert Lindley Lee Memorial Hospital, a/k/a A. L. Lee Memorial Hospital, representation of the Hospital in a chapter 11 reorganization which included the implementation of a HEAL Grant award. The True North Entertainment Complex Limited Partnership, United States representation of Canadian purchasers of a National Hockey League franchise to be relocated from the United States to Winnipeg, Canada. Appleridge Retirement Community, Inc., nursing home and adult residence debtors in chapter 11 case in the United States Bankruptcy Court for the Western District of New York. Representation of former shareholders defending millions of dollars of alleged fraudulent conveyance transfers in the Trinsum Group, Inc. chapter 11 cases filed in the Southern District of New York. Stephen has lectured for the American Bankruptcy Institute, the American Bar Association, the New York State Bar Association, and the Turnaround Management Association and at the request of various business clients concerning many facets of financial restructuring matters. He has also guest lectured at Syracuse University. Stephen is a former Judicial Law Clerk for the United States Bankruptcy Court for the Northern District of New York, Hon. Leon J. Marketos and the Hon. Stephen D. Gerling (1983-1985).